I had a great time reviewing Working It Out: Poetry Analysis with George Herbert by Everyday Education, LLC. Everyday Education, LLC does a great job of providing wonderful resources for homeschool families. I think as I read about Everyday Education and seeing that Janice Campbell has put together products based on what has worked for her and her family put my mind at ease. She has four boys and they have all graduated after homeschooling pre-school through high school...that allows me to rest easy knowing that the information and products are tried and tested! That is a huge deal for me. Although generally one of my girls takes the time to work with me on reviewing products/curricula, this time I was the student. I worked on this product all on my own. I was so excited to dig into this product, and it didn't take long to find myself in love! As a lover of poetry anyway.....and a novice at writing it...I found this course to be a wonderful addition to my day. 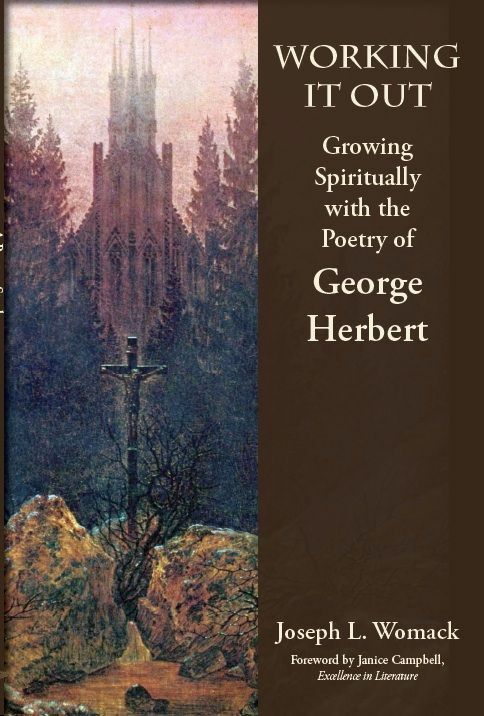 George Herbert was a 17th century poet, recognized as one of the foremost British devotional writers. Originally, upon his admittance to Trinity College, Cambridge he had planned on becoming a priest. After catching the eye of King James as a public orator, he served briefly in parliament. After the death of King James he fulfilled his calling and served as a rector for the Church of England. I found it very interesting that his poems were almost like his personal journal as he walked out his relationship with God, and he never really knew what happened to them. He sent them to his friend right before he died, and his friend worked at getting them published. It doesn't take much time digging into his poems to notice his precision of language and the way he uses imagery in his writings. Taking time to copy out the poems, really adds a new understanding to what he was actually writing about. I am fairly new to copywork, but know that it helps me put the information into a more long-term memory pattern. The older I get...the more tricks I need! LOL! Don't judge!! ha ha ha! I received this product as a computer download. The author of this product, Joseph L. Womak is a retired college professor, attorney and minister. He does a great job of presenting the poems of George Herbert in a methodical way to help each person gain all they can from each piece. 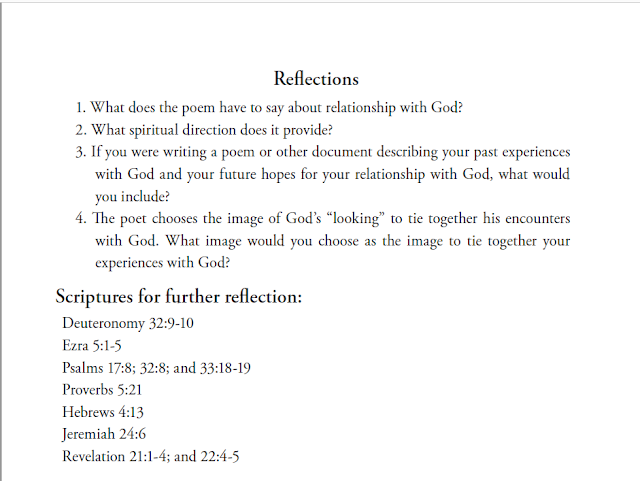 Take a look at the Reflections sample below. I love how Joseph Womak takes you deeper and helps you become focused on God. There are also scripture references for you to look up and spend some time pondering. Working it Out: Poetry Analysis with George Herbert is a one year study that will walk you through 51 works of the great poet, George Herbert. Working it Out was written with the primary function to be a devotional book. What I loved the most about this amazing product is not just the understanding gained of poetry, but rather the growth and development of my relationship with God. I found this course to be both challenging and supremely rewarding. As a 17th century poet, he writes in the language of the day. I would be kidding you if I said that I didn't have to look up a few words. But honestly, I don't find much better than that when your goal is knowledge! This course is spectacular and well worth the investment for your homeschool. Although I worked through this course myself this time, I know that I would love to have my high schooler go through this course as well! This curriculum is top notch!